Every great party deserves to go off with a real bang: you could say that’s the unofficial motto of all of us here at Venueseeker. However, in order to achieve the right kind of memorable impact, all good party organisers need to think outside the box, take a look at the hottest trends in events right now, and come up with party entertainment ideas which take their attendees away from their everyday lives. Unusual party entertainment is a surefire way to ensure your event really hits the high notes, encourages maximum audience engagement, and has a strong chance of going viral on social media. It’s fair to say that today’s guest are more demanding than ever before when it comes to party entertainment ideas, and event organisers really need to do all they can to consistently up the ante, and guarantee they’re constantly surprising and amazing their guests. With a bit of ingenuity, a sprinkling of inventive style, and a willingness to always go the extra mile, it’s truly amazing what you can achieve… and we’re always finding ourselves impressed with the big and small flourishes that party organisers are arranging for their attendees’ entertainment. 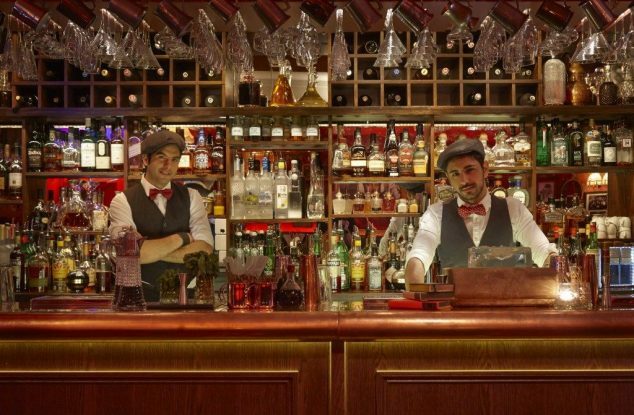 Everyone loves a secret shindig, and few places in London pull of the roaring twenties vibe of prohibition, speakeasies, and secret dens quite like Bart’s. The prohibition era is a hot trend to follow right now, and it rides on the back of classic novels and films like The Great Gatsby, taking audiences back in time to an era of sharp suits, gangsters’ molls, and creative gin cocktails. What’s more, this party theme allows for some fantastically inventive party entertainment ideas, sure to get guests smiling and having a riotously good time. Just make sure the cops don’t hear about it… this is one party theme which needs to be kept on the lowdown! You can’t have a 20’s themed prohibition party without encouraging every attendee to get into the swing of things, and get creative with their fancy dress. Think zoot suits, feather boas, cocktail dresses, flapper costumes, and trilby hats… the more outrageous and authentic the better! Seeing as the attendees are going to dressed up to the nines, it would be a real shame not to allow them to capture the revelry and their finery with a photo booth. The latest generation of photo booths feature social media connectivity, meaning all of those wild and riotous photos and all those incredible costumes will get automated uploaded online, complete with your event hashtag. Sorted! 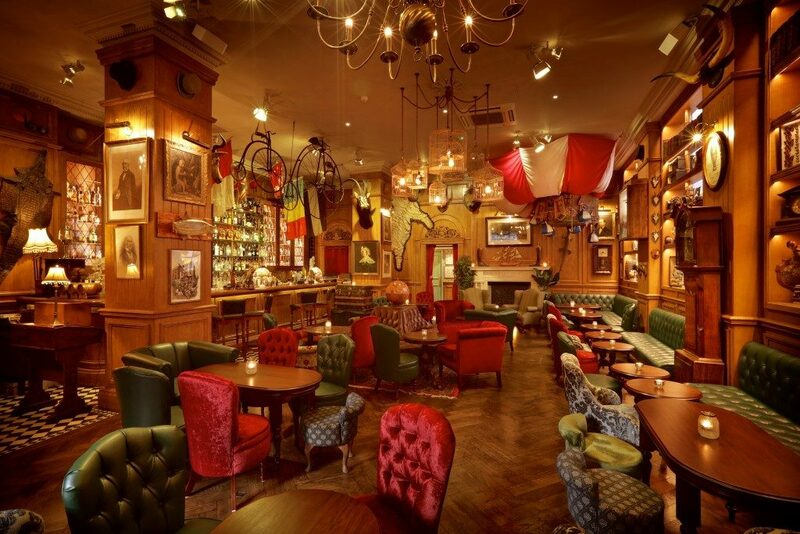 Mr Fogg’s House of Botanicals is one of London’s most distinctive and popular party venues. Wearing its eccentricity on its sleeve is one of Mr. Fogg’s key selling points. Taking its cues from a nostalgic English tea party (by way of Lewis Carroll’s twisted Wonderland fantasies, no doubt), a Spring Fling gives attendees a chance to enjoy some authentic escapism into a world of fine cocktails, party dresses, and a childlike sense of wonder and amazement. Turning back the clock never looked so cool! 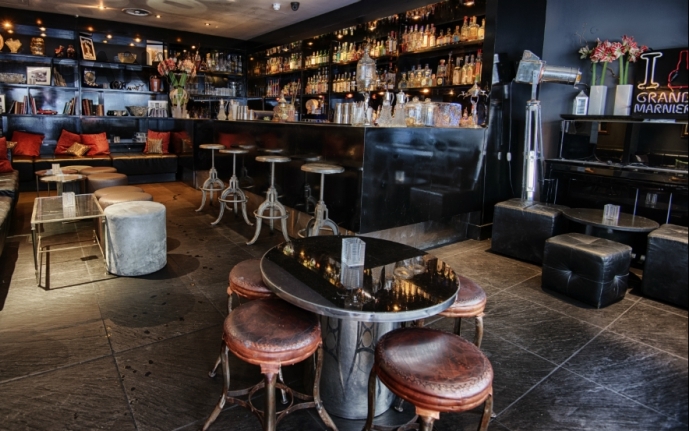 The past couple of years has seen the worlds of mixology and fine, unique, and unusual spirits take off in a big way. If you’re looking for a sophisticated party idea which brings a real sense of creativity and distinction to your event, then arranging a bespoke set of cocktails is a fantastic way to keep your attendees happy. You can either hire a talented mixologist or cocktail expert to whizz up some new twists on old favourites, or you could invent a ‘signature’ cocktail for your event… something which always piques the interests of your crowd. Want to check out the top cocktail trends for 2019? This article lays them out nicely! 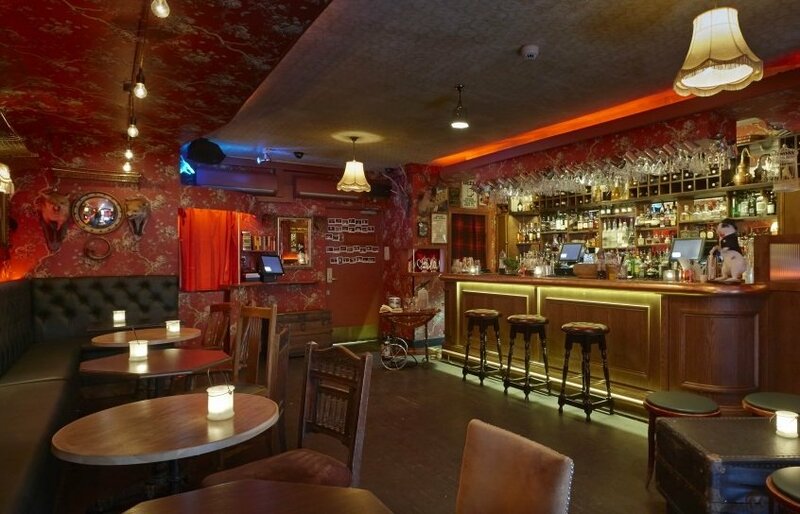 The Den has got to be one our favourite cosy venues in London, and it’s one which celebrates a peculiarly British eccentricity when it comes to its decor, its cocktail menu (again, gin features heavily here! ), and the kind of events that it hosts. Warm, sophisticated, and with the kind of atmosphere that puts you in mind of an Agatha Christie novel, it’s hard to think of a better place to get involved in a Murder Mystery event. Murder mysteries are a brilliant party entertainment idea, which still draw in the crowds and add a fascinating and fun dimension to any occasion. They offer a type of escapism which genuinely takes your attendees away from their real lives, and have the ability to transport people to another time and place, and give them the chance to exercise their sleuthing and acting skills! The best murder mysteries are those which tend to inhabit the ‘golden age’ of English murder; we’re talking Hercule Poirot on the Orient Express, Sherlock Holmes in Whitechapel, and Mrs Marple’s quiet brilliance in English idylls… and your attendees should be encouraged to inhabit their roles with real glee and enthusiasm, dressing up to look the part, and bringing some dramatic flourishes to the occasion. It’s the perfect way to while away an evening, and it’s guaranteed to bring plenty of surprises, and shocking twists and turns! Stylish, slick, and packed full of contemporary London charm, OXO2 is rightfully considered one of the capital’s most dynamic and sought-after events venues. 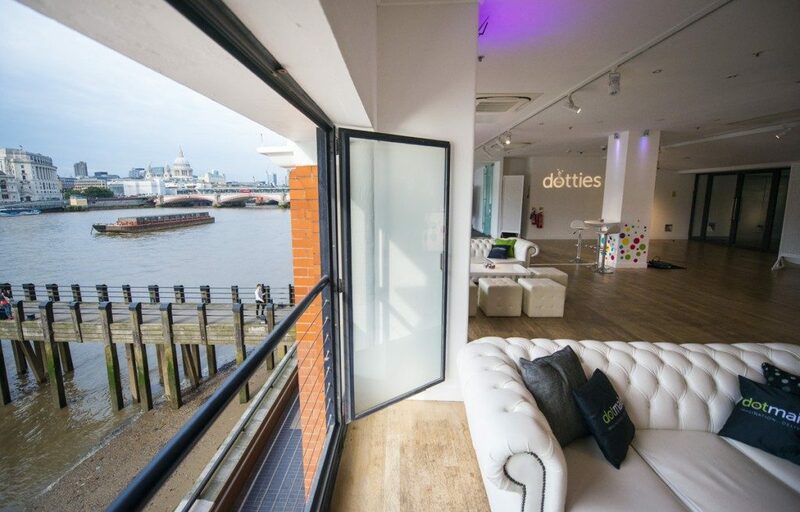 Situated in an iconic location along the South Bank, it not only offers some of the best views in the city (not least at sun set), but the kind of blank canvas venue space that allows for anything to be realised in fantastic style. With fantastic bars and catering options, and the full gamut of AV equipment ready to amaze your attendees, it’s hard to think of a better events venue in a more spectacular setting. Transport your guests back to the pastel-coloured days of classic Saturday night telly with a recreation of this much-loved TV game show classic. Featuring a wealth of zany activities and challenges, it’s a night of nostalgic entertainment and plenty of retro fun. You could get your attendees to try their skills at a potter’s wheel, or get them to do some speed painting, sausage making, or any other classic Generation game-style tasks… just don’t forget to have at least one cuddly toy on the prize conveyor for the ending! This party entertainment idea ties in nicely with a retro fancy dress theme, too. This beloved show ran from the 70s through to the 90s, so take your pick from one of the classic eras, and ensure there are plenty of thematic features, such as a prize for best costume, a photo booth, and a retro disco to cap it all off! When it comes to top party venues in London, few locations can hold a candle to Old Billingsgate. Imposing, impressive, and brilliantly versatile, this venue has hosted all manner of lavish parties and events over the past couple of years, and continues to amaze with the incredible nights out that it offers. The vast 19th century structure is situated just next to London Bridge, and boasts an expansive space in which a wide range of barnstorming events can take place. 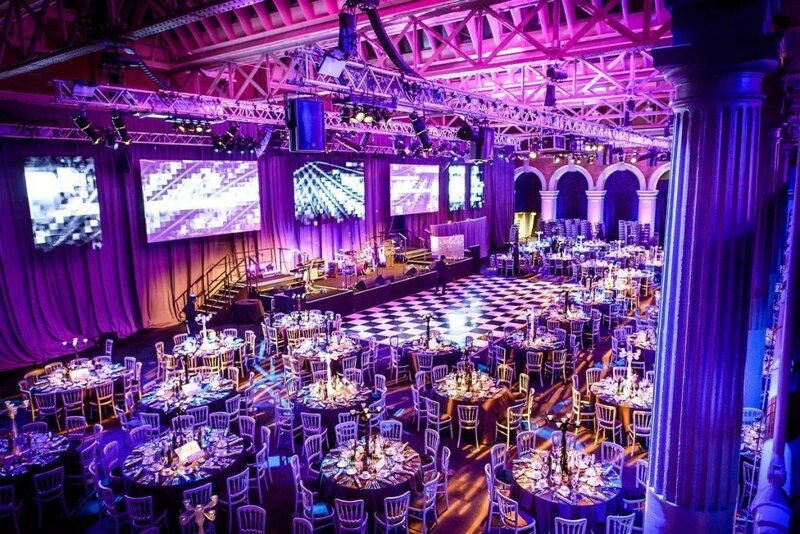 Featuring plenty of period details, as well as contemporary flourishes and some of the most awe-inspiring AV setups in the city, Old Billingsgate parties are the stuff of legend in London! Your attendees will be blown away by a night of revelry, wild antics, and the carnival atmosphere that only a circus theme can provide. This party idea brings a real sense of childlike glee (as well as the potential for a more sinister edge, if you’re that way inclined), and the chance to try their hand at a range of circus skills and activities. Get some professional circus performers involved, and arrange for classes in small groups on juggling, plate-spinning, slackwire walking and the flying trapeze, and prepare yourselves for a show which will bring out talents your guests never knew they had! Once you start thinking outside the box and checking out the coolest new party entertainment idea trends in London, it’s incredible how many great concepts you can quickly uncover. At the end of the day, today’s event attendees want something which whisks them away from the drudgery of their daily lives, and gives them plenty of moments to cherish, remember, and share on their social media walls! At Venueseeker, we’re all about checking out the hottest venues, the coolest parties, and the most innovative new events ideas. We love sharing our expertise with events organisers in London and elsewhere in the country, and if you’d like to find out more about how we can help you take your events to the next level, don’t hesitate to get in touch!